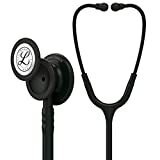 Hate it when your stethoscope goes missing? Hate the DIY stethoscope labels you see so many of in hospital (stickers, patient ID bands and so on)? This is the ideal solution. 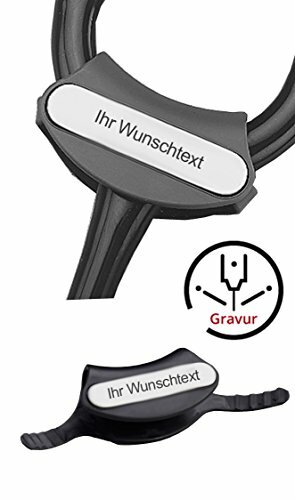 This engraved name tag fits snugly onto your stethoscope, so that if it goes missing it can be returned to its rightful owner. Also so that stethoscope thieves will have to stare at your name for at least the time it takes for them to remove the label. 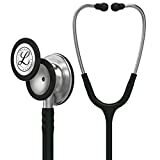 This is produced and distributed by Littmann themselves via Amazon, and they offer free engraving with the product. The only downside is that you have to contact them via Amazon after placing your order to specify the text you want, which makes the purchase process a little clunky.